Solitaire Realinfra Pvt Ltd is one of the most sought after names in the real estate sector in Uttar Pradesh. The company envisages a world of beauty, serenity and joy, with its clients living and working in luxury and comfort. Le Solitairian has developed a number of world class residential and commercial properties, with the requirements of a client always being the ground rule for any construction. The company provides a host of real estate solutions across Uttar Pradesh. Headquartered in New Delhi, Le Solitairian is also a member of the Confederation of Real Estate Developer’s Association of India (CREDAI). Some of the major projects developed and delivered by Le Solitairian include, 7 La Place in Lucknow, Solitairian City on the Yamuna Expressway and VVIP Addresses in Raj Nagar Extension. Each project developed by the company is equipped with state-of-the-art facilities, along with being situated at an advantageous location. 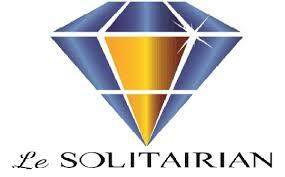 Le Solitairian is headed by Mr. Harjeet Singh Sahni, who is also the chairman of the Builder Association of India. Under the leadership of Mr. Sahni, the company has scaled new heights. The mission of the company is to show true passion towards its work and to succeed without resorting to shortcuts. Le Solitairian envisions becoming a ‘first choice company’ in the real estate industry and to change and improve the perception of ‘quality’ amongst its clientele.